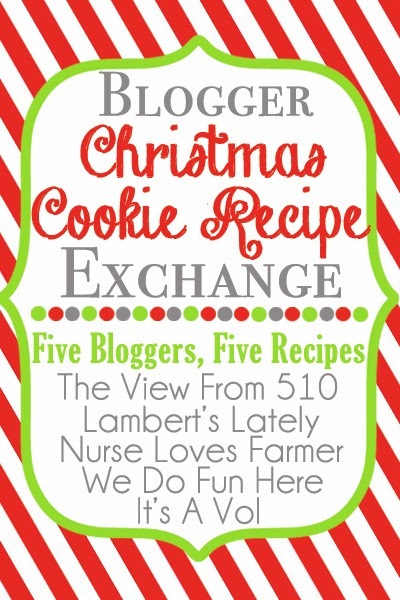 Welcome to a super special post in the Christmas Cookie Guide series....a Blogger Christmas Cookie Recipe Exchange! I've rounded up another cookie recipe and a few of my favorite blogging ladies to bring you 510's first ever Blogger Cookie Exchange. One of the greatest baking perks during the holiday season is sharing your recipes and baked goods with friends and family. So, of course, I had to host a few friends for the Christmas Cookie Guide. If you're planning to attend a cookie exchange this season, you'll soon realize just how many cookies you'll haul home. It's going to be a lot! To get your taste buds warmed up, these ladies are sharing a cookie recipe for all of you! 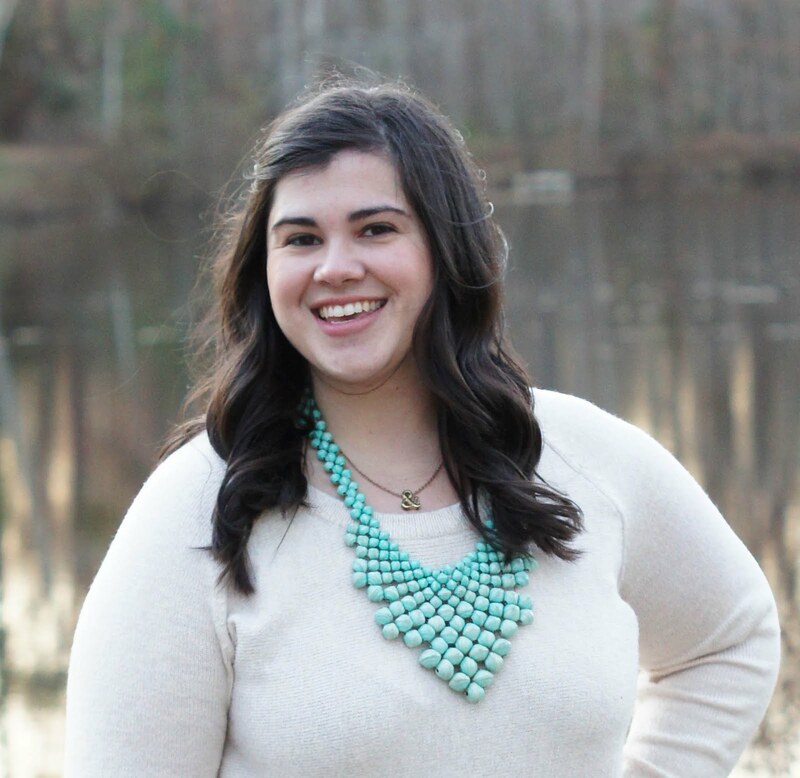 Today you'll find Leslie, Sarah, Jenn & Sarah sharing their latest Holiday Cookie on their blogs! As I plan to spend most of my time drooling over their recipes, my cookie recipe is going to be short and sweet today! Gather the ingredients above. PLUS: popsicle sticks and half a cup of creamy peanut butter. This recipe is best done well prepared. Get your red mini m&m's and candy eyes set out in small dishes so that they're handy when the chocolate is still wet. Also? Have your pretzel antlers broken and paired beforehand!! This was not a simple task for the OCD baker. Have plenty of spare pretzels on hand. 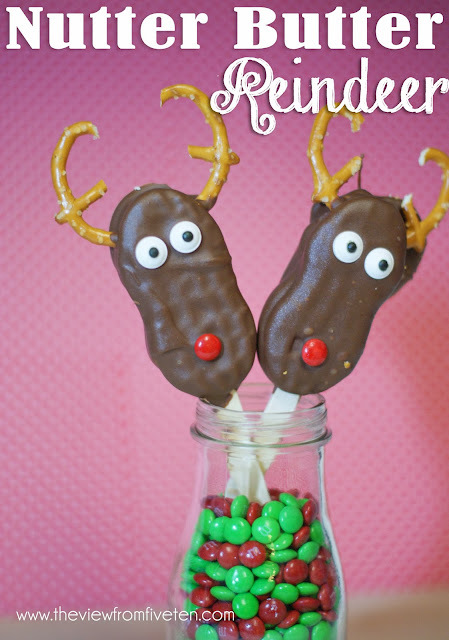 Prepare a couple of cookie sheets with parchment paper for your reindeer to set on. Melt your chocolate, dip cookies and decorate accordingly. Once they've had a chance to set gobble them up, serve them to friends or give out as little Holiday gifts! 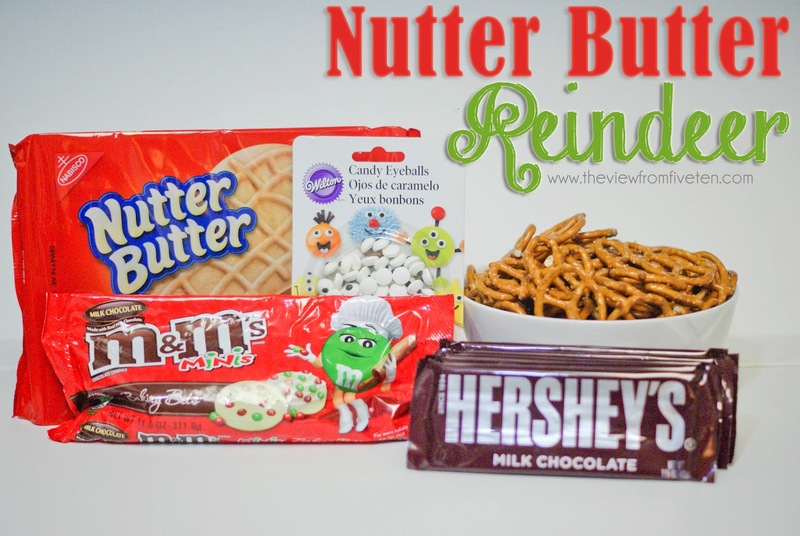 My number one tip for assembling these Nutter Butter Reindeer: separate each individual cookie, add 1 tsp of creamy peanut butter and popsicle stick then sandwich back together. Freeze your amped up Nutter Butter pops for 30 minutes before dipping and decorating. This will help your pops from falling apart as you dip them in chocolate! For an awesome, quick video tutorial jump over to Family Circle's Video! What is your go-to Christmas Cookie Exchange Recipe? Find the rest of my Christmas Cookie Guide here or by clicking the button above!